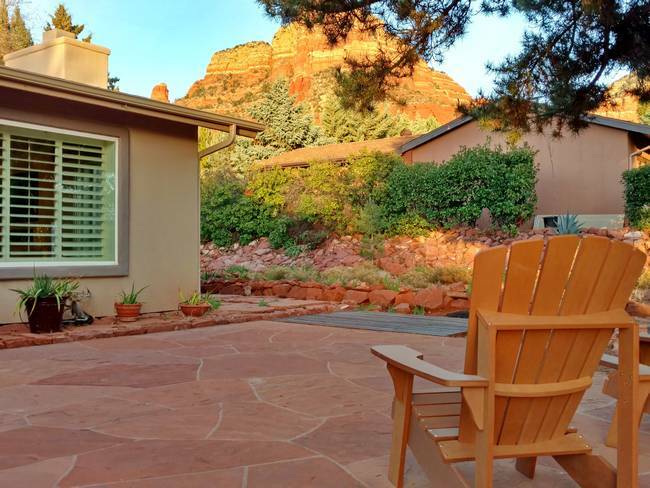 From the beautiful open concept living space to its up-close red rock view and relaxing hot tub, Desert Rose offers excellent accommodations in the Chapel area of Sedona. Enjoy your next stay in Sedona in comfort and style at Desert Rose. If you are looking for that home away from home on your next stay in Sedona, look no further. At Desert Rose, you will enjoy contemporary style with an open concept living space with views of your red rock neighbors, along with nice outdoor places to sit, relax and enjoy yourself after your days out hiking, shopping or exploring all that Northern Arizona has to share. 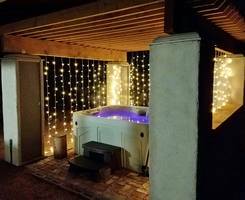 Desert Rose has two bedrooms, both with king beds and both with a full bath just out it's door. Feeling instantly at home is easy at Desert Star. See you soon!